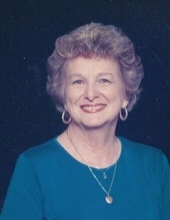 Elizabeth Marinetti Randolph, age 85, of Woodstock, Georgia passed away Sunday, March 31, 2019. She was born on July 13, 1933 in Raritan, New Jersey to the late Adorno Marinetti and the late Daisy Hayles Marinetti. She was a homemaker and an accomplished musician. Betty was a vibrant, full of life person who made an immediate impression on everyone she met. She was a professional soprano soloist and pianist who brought joy to all through her gifts of music. She adored her family, friends, Mustang convertible and 1925 Steinway piano. She will be greatly missed by all. In addition to her parents, Betty was preceded in death by her husband Robert Lee Randolph and son Scott D. Randolph. She is survived by daughter Sharon R. Klepfer and spouse Douglas; Marc. D. Randolph and spouse Lori; Grandchildren Adam Klepfer, Matthew Klepfer, Justin Randolph, Kevin Randolph and Cameron Randolph. According to her wishes she has been cremated and services will be held in New Jersey at a later date. To send flowers or a remembrance gift to the family of Elizabeth Marinetti Randolph, please visit our Tribute Store. "Email Address" would like to share the life celebration of Elizabeth Marinetti Randolph. Click on the "link" to go to share a favorite memory or leave a condolence message for the family.